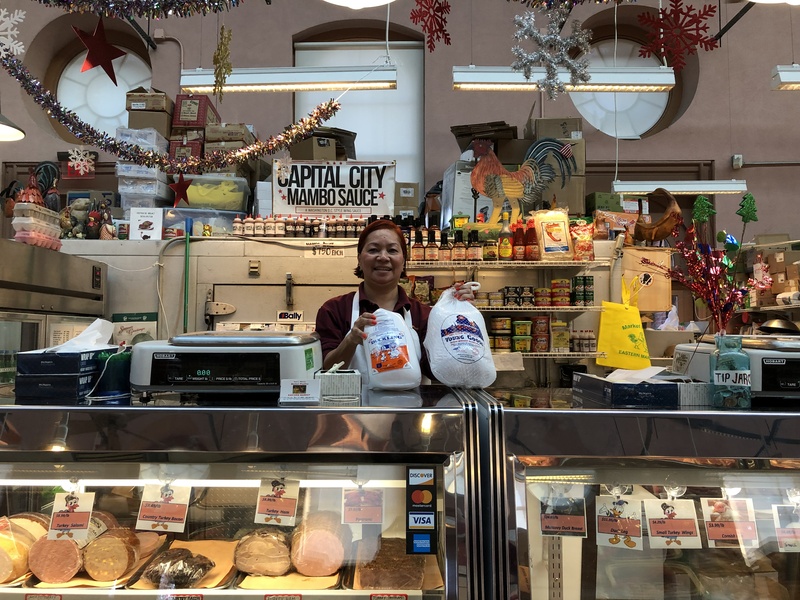 Market Poultry carries a variety of fresh free-range chickens and turkeys, organic chicken, eggs, and a large line of wild game including buffalo, ostrich, and alligator. Our specialty is fancy poultry and game birds. Keep an eye out for our new line of turkey products! And for the holidays, try our ducklings or young geese. You can reach Market Poultry by calling (202) 543-2840.